Nick Clegg, Deputy Prime Minister and the the Department for Communities and Local Government (DCLG) have just released a new report Ethnic Minority Businesses and Access to Finance, which following talks with the British Bankers’ Association, commits mainstream banks to a series of policy initiatives to support enterprise in ethnic minority communities. …the government has agreed with the British Bankers’ Association that the banking industry will commit to a series of measures to improve access to finance for ethnic minority business groups. 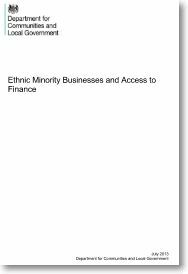 This includes collecting data through independent research, for the first time, on the experiences of ethnic minority businesses seeking finance. The Ethnic Minority Businesses and Access to Finance report was published on the 30th July 2013 by the Communities Minister, Don Foster – with the analysis in the report indicating that there is already much good work underway to enhance enterprise funding in these target communities, but that there is also still much to be done. Whilst some of these drag factors can be attributed to any sector where social finance is deployed, for example, language and culture can be additional burdens on enterprise creation in a dynamic, culturally mixed and enterprise leaning community. 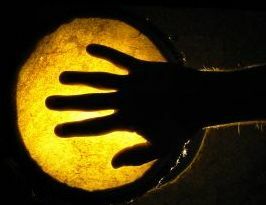 The report does recognise interestingly, whilst there is no apparent discrimination or prejudice in play within mainstream financial cultures, the report states, there is strong evidence that ethnic minority entrepreneurs perceive this to be the case and that access to mainstream financial advice and guidance is, in itself, seen as an intimidating process. The report suggests that banks and mainstream lenders must make a continued commitment to overcome these mis-perceptions. Finally, the report outlines the role that Local Enterprise Partnerships (LEPs) can play in supporting the policy roll-out, and the particular relevance that Community Development Financial Institutions (CDFI) and alternative sources of finance can play in supporting ethnic minority community enterprise. Promoting these alternative finance schemes is a strong part of the report action plan, which coupled with our sector knowledge of local communities and awareness and sensitivity to cultural norms, can only endorse the role that Social Finance can play. On balance the report is well considered and broad in its scope and to be welcomed. The elephant in the corner, despite the passion and commitment of the Social Finance sector, is how committed mainstream banks will be regarding pressure to lend and fund business projects. 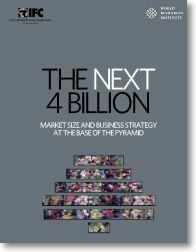 Their track record to date, even towards core SME support, is not one of sparkling achievement. 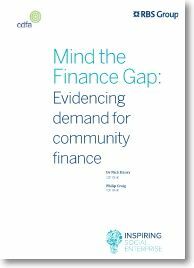 Dr. Nick Henry and Philip Craig are the authors of this report which examines the evidence around the need for community finance initiatives – Mind the Finance Gap. Funded by The Royal Bank of Scotland and in association with the CDFA the report examines finance demand from social and business sectors which fall outside the consideration of mainstream banking services. These groups may be businesses and entrepreneurs, they may be civil society organisations with a wide social remit, including social enterprises or charities. They can also include individuals with unsteady regular income or homeowners with a need for financial support for renovations, for example. This report estimates current potential annual demand for community ﬁnance in the UK (excluding the Green Deal) is at some £5.45 – 6.75 billion. In contrast, in 2012, community ﬁnance organisations delivered an estimated £0.7 billion of community ﬁnance to UK businesses, civil society organisations, individuals and homeowners. Community ﬁnance investments generate a wide range of economic and social beneﬁts (especially within the most disadvantaged and excluded communities of the UK) – and which meet a wide range of Government policy objectives. Community ﬁnance organisations, if capitalised to do so, have the potential to generate sustainable economic development and social well being at the heart of UK communities. Currently, the majority of potential economic and social beneﬁts are being lost to UK economy and society. 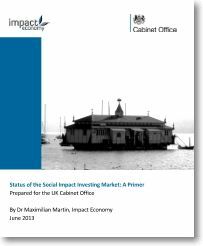 You can access a full copy of the report in pdf format here.